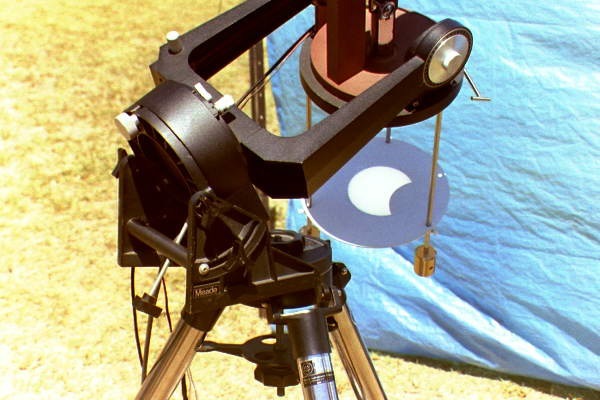 The annular eclipse was visible from a narrow track across Australia, with clear weather reported at most sites. 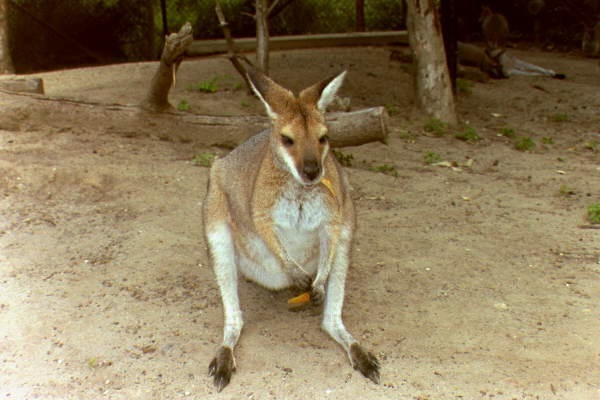 I was at a site in Greenough, Western Australia (pronounced "gren-uf"), organized by the Perth Observatory, a state-funded observatory headed by Dr. James Biggs, Government Astronomer for Western Australia. 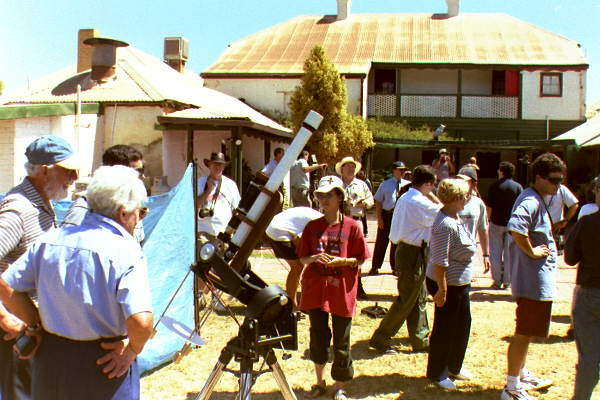 A busload of people travelled 5 hours north of Perth in a group headed by Peter Birch of the Observatory staff. The site was at an hundred-year-old inn, where lunch and facilities were made available. 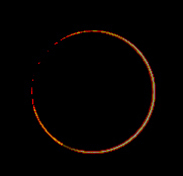 Before lunch, I gave a brief lecture on annular eclipses. Also at the site were: Olivier Staiger, who had his Web site on line live; Lawrence Cram, professor of Astronomy at the University of Sydney, with his wife Barbara; Fred Espenak, the astronomer from NASA Goddard Space Flight Center who, on the side of his main research, publishes the eclipse bulletins in the NASA Reference Publication series and who carries out the main calculations of eclipse circumstances and paths; Daniel Fischer, who publishes an astronomy newsletter in Germany; and Friedrich Dorst, an experienced eclipse observer from Germany. The Observatory staff had telescopes set up with projected solar images, showing images both on a screen behind one of the telescopes and with a video projector on a wall. The sky was completely clear, with not a single cloud visible, for the entire three days I was in Western Australia. 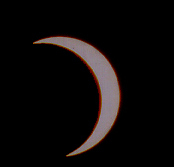 The partial phases were noticeable within seconds of the predicted time. Our site was about 3 km north of the predicted centerline. 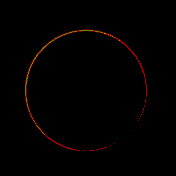 As always at an annular eclipse, it became clear from the final solar crescents that the moon wasn't big enough to cover the sun. However, since 99% of the sun's diameter was to be covered, this fact wasn't obvious until minutes before annularity. 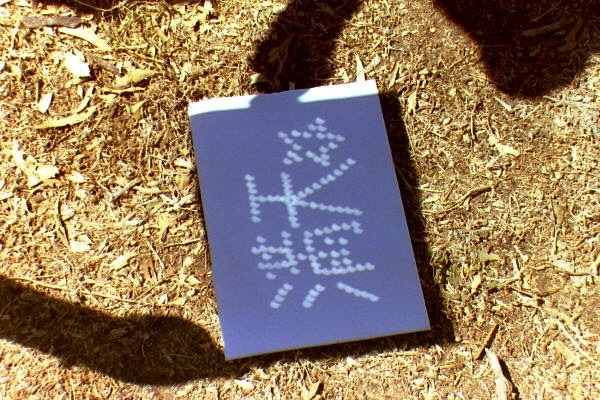 Baily's beads began to be visible at the edge of the sun. Annularity lasted only about 40 seconds. As always, my photographic experiences were a good test of some of the equipment I will use at the August 11, 1999, total solar eclipse, which we hope to observe from Romania. Some repairs and changes in camera equipment will be required. 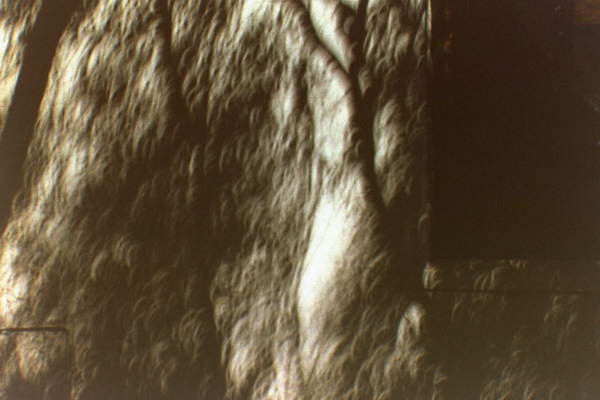 Pinhole images were naturally visible on walls of the inn, and were also artificially made. The Australian broadcast network ABC was there, and I unfortunately overheard them issuing excessive warnings about eye safety (See my article on Public Education and Eclipses in New Trends in Astronomy Teaching, an International Astronomical Union Colloquium.). My worry is that if students are told that they should stay indoors and watch on tv because they will hurt their eyes if they look at the sun, they will find out that friends watched the eclipse from outdoors or even just had their gaze glance across the sun in the sky, and will then not trust teachers or television when they are warned about other hazards of life (smoking, drugs, AIDS, etc.). So the excessive warnings can wind up being harmful for people. It is important at future eclipses for knowledgeable people to give the proper warnings about how to watch the observe safely. 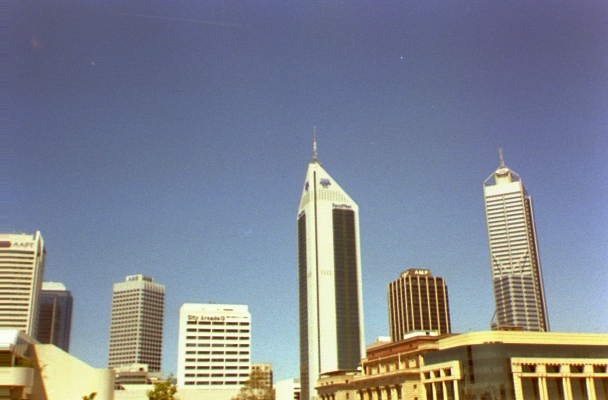 Perth is a very modern city, very changed since our visit there for the total solar eclipse of June 1974. 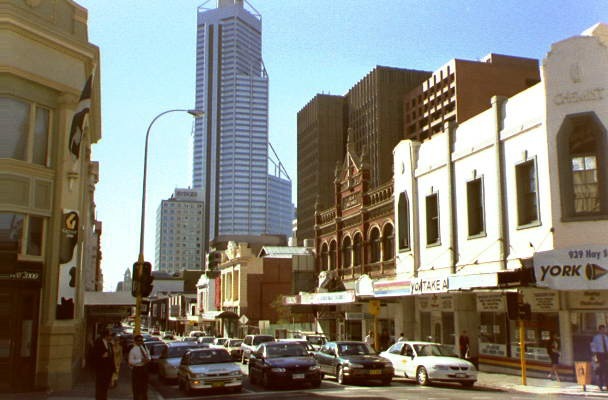 At the edge of the central business district, some of the older buildings also survive. En route home, we went via Sydney. 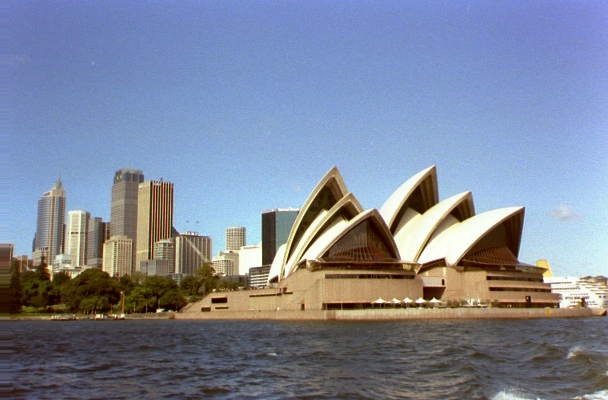 Its Opera House and its zoo are among its outstanding features. 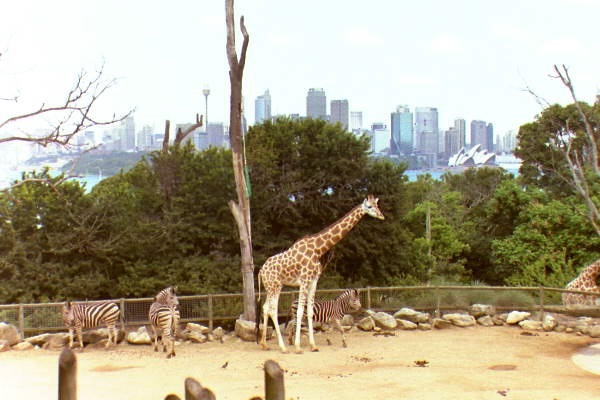 The International Astronomical Union will meet there in July 2003. I heard from Robert Eather, who made an IMAX movie of the annular eclipse, that Tennant Creek, much farther east in Australia, was clear for the annularity, and only a small part of the partial phases were blocked from view. Another observer at Tennant Creek was Patrick Poitevin.